BitDefender Internet Security Plus keeps your Internet-connected family safe, without slowing down their PCs. It locks out viruses, hackers and spam, while providing parental control and firewall protection. Many of today's stealth viruses are designed to avoid antivirus detection by initially laying dormant, only to attack your PC when it is most vulnerable. 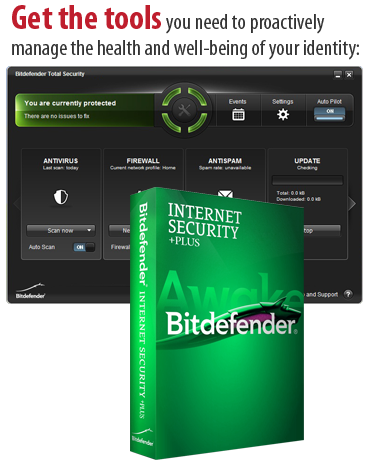 BitDefender Internet Security Plus features a cutting-edge security system, Active Virus Control, which constantly monitors all of the processes on your PC, blocking any malicious behavior before it can cause damage. The abundance of new viruses calls for faster ways to detect them. BitDefender's Optimized Scanning avoids the scanning of files that are known to be safe. The result? BitDefender Internet Security Plus scans your PC in half the time needed by previous versions, while using less resources. Whether you're a security expert or a novice, with the BitDefender User Profiles you can easily manage your PC's security.